The inspiration for the electric fence safety rug is rooted in the loss of a very precious horse, Barny. Barny had managed to escape from his field through an electric fence wearing a standard winter turnout rug. 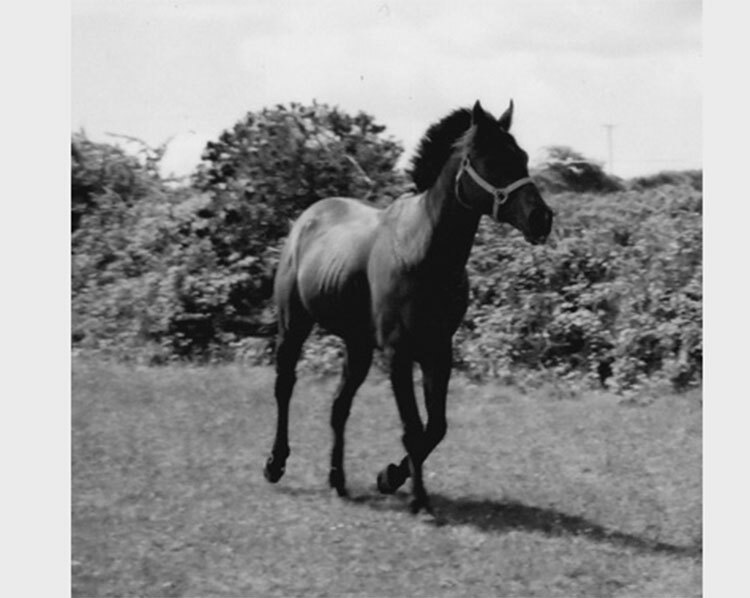 Barney was a beautiful TB stallion who escaped from his field by barging through electric fencing and over a 7ft hedge when loose horses galloped down the lane next to his field. In all of the excitement, Barney broke through the electric fence and scrambled over the hedge to join the group of horses. Wearing his rug he could not feel the fence, and subsequently he easily pushed straight through it. Unfortunately, once Barny caught up with the horses he received a fatal kick that broke his front leg and he had to be put to sleep due to his injuries. The founder of Guardian Rugs (Barny’s owner) was understandably distraught and heartbroken. Left with only one question, if Barny had received an electric shock from the fence that night, would he still be with us today? This meant a solution had to be found – never again could she risk a horse escaping with the potential for this accident to happen again. Following many designs the worlds first electric fence rug was launched in 2012. May Barny’s terrible accident never happen again and may Guardian Rugs help to keep many horses safe and secure in their paddocks. 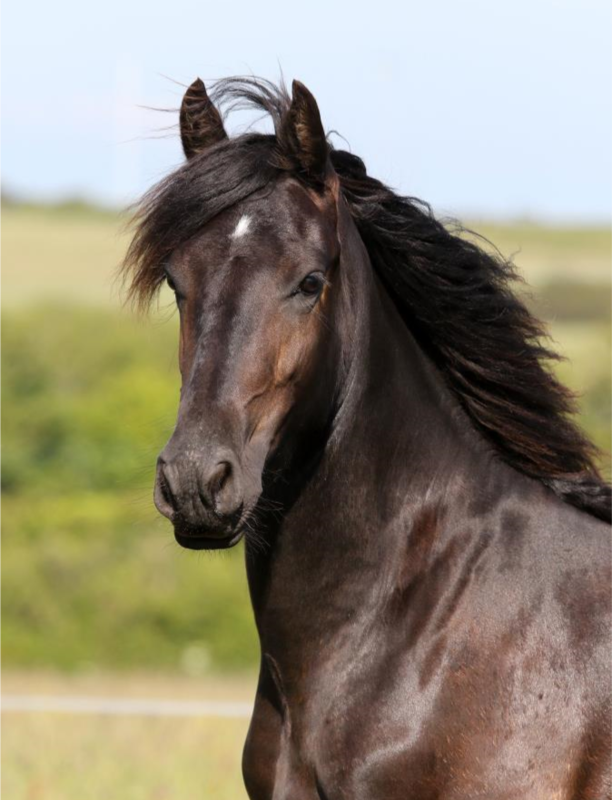 We are based in the UK in the beautiful county of Cornwall and we are very proud to have launched the world’s first anti-escape electric fence compatible turnout rug’s to the equestrian market in 2012. Since our UK launch we have grown both nationally and internationally and we now supply electric fence turnout rugs to the UK, Finland, Australia, France, Germany and Norway — with ambitions to add many more locations to that list over the coming years. 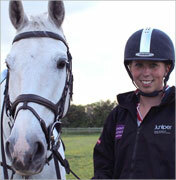 In 2015 Guardian equestrian teamed up with Hotline Electric Fencing who are market leaders in their field and have over 40 years of expertise in the electric fence industry. Like Guardian, Hotline is driven by quality products and customer service – the future is very exciting as we continue to work together on exciting new products and ranges. We are also delighted to report that from September 2016 Guardian Equestrian’s product ranges have been available throughout Finland from Hannkija Oy – Finland’s leading agricultural retailer. Our main focus outside the UK is currently working with Hannkija to launch Guardian’s brand and products in Finland, we are very lucky to be working with such fantastic international suppliers such as Hannkija and look forward to an exciting future working alongside them. We are incredibly passionate about quality, efficiency and fantastic customer service; in fact we have made these our 3 core company goals! All our products are designed by us and we oversee every stage of the manufacture process ensuring the materials used in our products are good quality and perform to our high standards. Many of our core team are horse owners so we understand exactly what level of performance is required from the products we design and sell. We understand in the rug business often people need a rug the same or next day, or sometimes you need to try a couple of different sizes, or maybe you need one size rug, but a different size neck cover – whatever you need we can nearly always accommodate it. We are continually working to ensure a flexible and efficient service from order to delivery. We have a small and very friendly customer services team who can provide all the information you need for our products; you can find us on email, by phone or social media chat; whatever your question is our super efficient team can deliver. 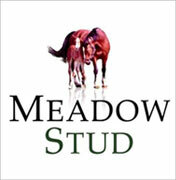 Keeping fences up, and horses safe! Read our reviews to see how effective our rugs are at preventing escapes or visit our FAQ’s page to find answers to our most common questions! 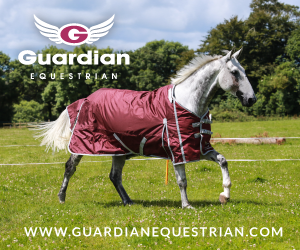 As a top rider with top horses Ginny wanted complete peace of mind when her horses were turned out, so Ginny always uses our Guardian electric fence rugs to ensure her horses are safe and sound when out at grass. My beautiful boy in his smart new electric fence turnout rug, had his rug back on for the last 2 days as tons of rain here and he's staying in his paddock .... Yipeeee!!! !